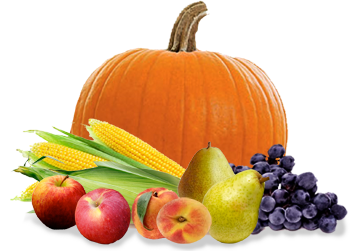 We have seasonal Michigan and Wisconsin produce available, including apples, pears, peaches, Concord grapes, corn and pumpkins. While we often have hardier produce on hand when in season, the more perishable produce is special ordered to be sure you have the freshest available! 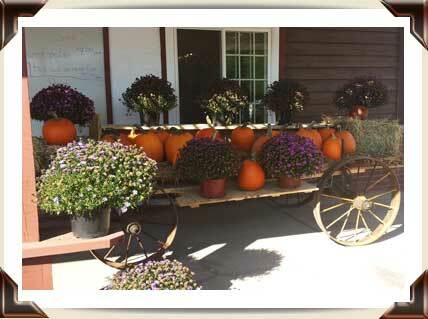 Be sure to come in or call to add you name to the order lists when the fruit you want is in season. We'll have announcements on our seasonal announcements page when we are planning to order, so check back often! Antiques & Gifts | Contact Us!